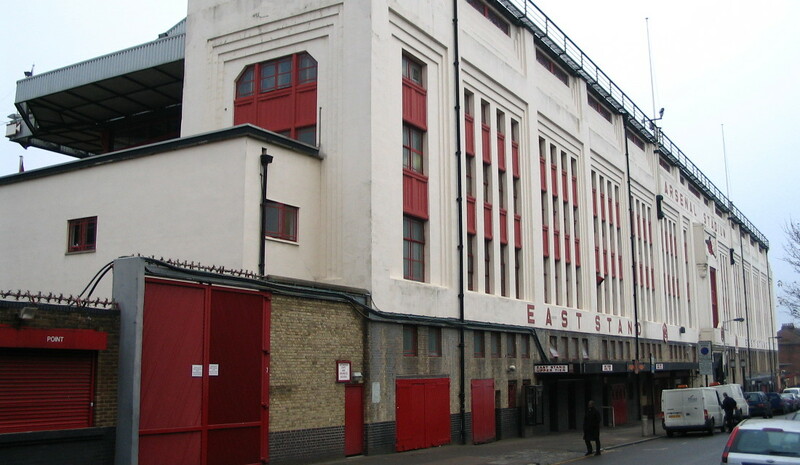 Highbury, officially called Arsenal Stadium, was the home of Arsenal FC between 1913 and 2006. In its final years it had a capacity of 38,500 seats. In the early years of the 20th century Arsenal played its matches at Manor Ground, which lay in the south of London near Greenwich, when then-chairman Henry Norris decided to move the club to the north of London. A plot of land was leased in the borough of Highbury, and a stadium got designed by Archibald Leitch. The first match at the stadium was played on the 6th of September 1913. The tie between Arsenal and Leicester Fosse was won by the home team 6-3. At that time the stadium consisted of one main stand and a series of terraces. In 1925 the ground got bought by Arsenal and seven years later a new grandstand consisting of two tiers was constructed. The stand could seat 4,000 people and had standing capacity for 17,000 more. Highbury’s record attendance was achieved in 1935 when 73,295 fans witnessed Arsenal drawing Sunderland (0-0). One year later, in 1936, the art-deco style East Stand opened. In 1948 the stadium hosted a few games during the Olympic football tournament. Only incremental changes were made to the stadium in the following decades and it took until 1989, when the Clock End got renovated, for any further major redevelopments to take place. A few years later works started to turn Highbury into an all-seater stadium. Part of this conversion consisted of the demolition of the North Bank terraces and construction of a new North Bank stand. 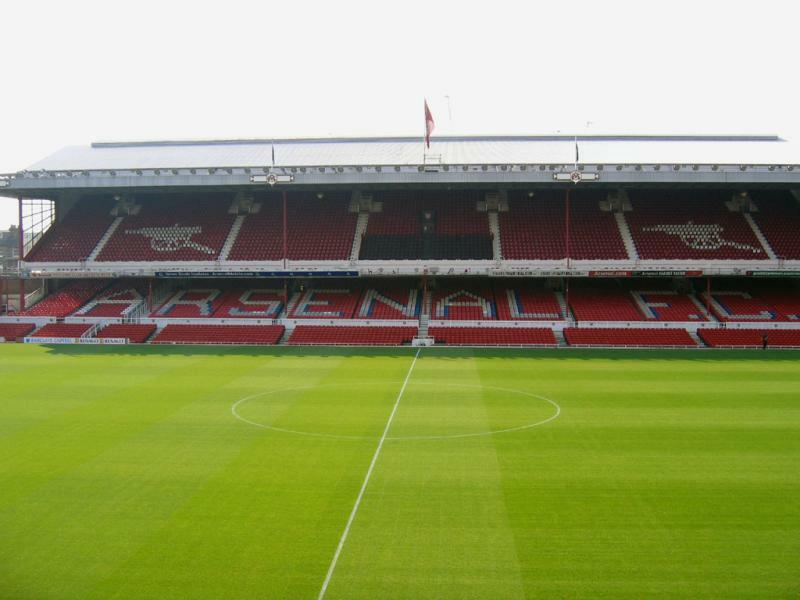 However, due to the ground’s limited capacity and lack of expansion possibilities (being enclosed by residential housing), the club started looking into moving away from Highbury, and in 2004 construction of the Emirates Stadium started. 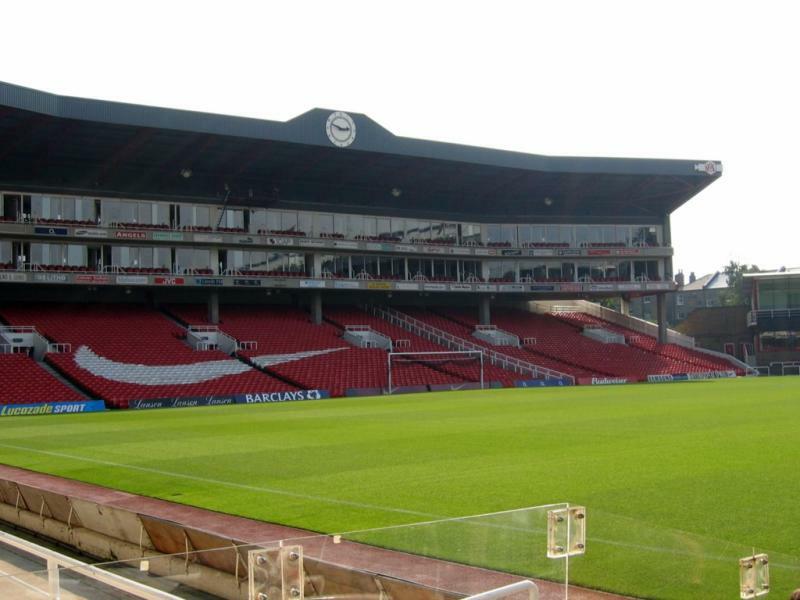 The last league match at Highbury was played on the 7th of May 2006. Highlight of the 4-2 victory over Wigan was a hattrick scored by Thierry Henry. Arsenal Stadium got subsequently demolished and the site was redeveloped into residential flats. Just the exterior of the art-deco East Stand and West Stand have remained and were incorporated into the new developments. The pitch has been turned into a communal garden.